This is an improvement of weather mod, this version brings high-resolution textures, but also allows a small improvement for those who have DirectX 9 video card. 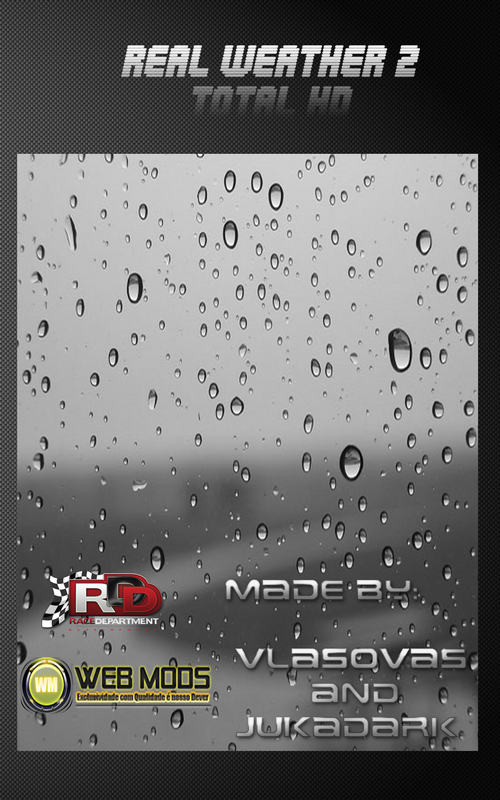 Raindrops have a lower pixelated effect in the mod with smaller droplets. he version with DirectX 11 can also be used with DirectX 9, but as it increases the size of raindrops, more pixelated effect will have on DirectX 9 video cards, so your own version is the best option, there were other improvements too, like the spray of water from the cars. The mod offers a better experience on DirectX 11, but has its improvements in DirectX 9 ( the raindrops ). But some pixelated in the spray will have always , even in HD, the same is not true in DirectX 11, due to the spiral effect of water spray in an attempt to become more realistic. To use the mod you must leave the postprocess to medium. and edit the file hardware_settings_config.xml. search for this line <postprocess enabled="true" blur="true" quality="2" /> change blur="true" quality="2" to blur="true" quality="1"
We also recommend using the Gladlights RDDev, the tracks, are less dark with him and maybe mod sky ! and all our loved ones we lost, may God keep in a good place!. This mod is dedicated to them! 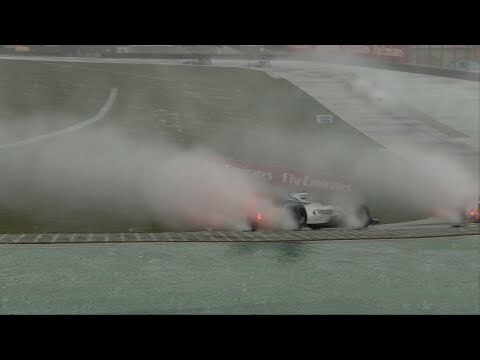 chegou a hora de lançar uma melhoria do mod weather, esta versão não só traz texturas em alta resolução, como também permite uma pequena melhoria para quem tem placa de video Directx 9. As gotas de chuva terão o efeito pixelado minimizado na versão com gotas menores. A versão com Directx 11 tambem poderá ser usada com Directx 9 e vice-versa, porém quanto maiores forem as gotas, mais efeito pixelado haverá em Directx 9, portanto a sua própria versão é a melhor opção. Houve outras melhorias também assim como o Spray de água dos carros. O mod oferece uma melhor experiência em Directx 11, mas tem suas melhorias em Directx 9, no caso as gotas. Sempre terá alguns pixels no spray (DX9) mesm em HD. O mesmo já não acontece em Directx 11, isso devido ao efeito espiral do spray de água na intenção de tornar mais realista. Para usar o mod é preciso deixar o postprocess em médio. Caso contrário poderá haver problemas. Faça essa alteração antes de começar a jogar. e editar o arquivo hardware_settings_config.xml. mude o valor blur="true" quality="2" para blur="true" quality="1"
e a todos os nossos entes queridos que já se foram, que Deus os guarde em um lugar bom!!! Este mod é dedicado a eles!! !